Working together to mobilize cancer awareness in Kenya! 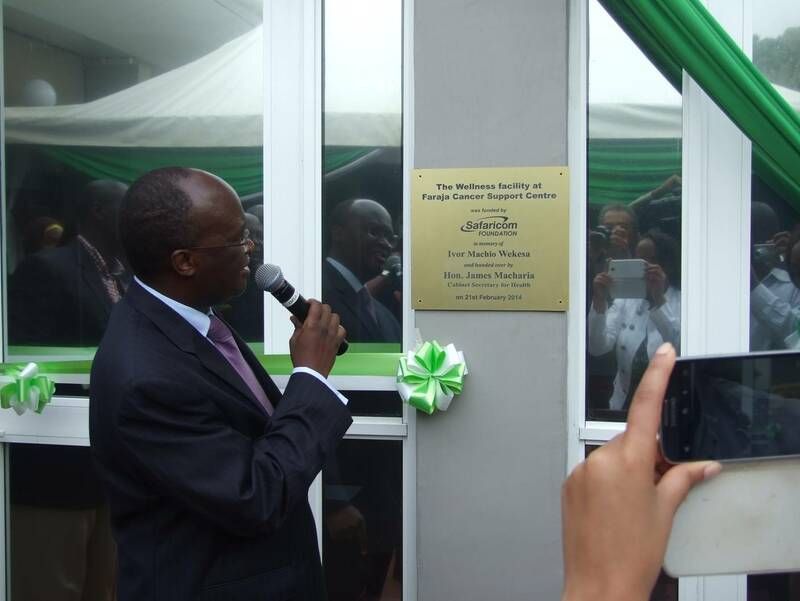 The Official opening of Faraja Wellness Studio by the Cabinet Secretary for Health Mr. James Macharia was done this morning. The development has been funded by Safaricom foundation and in attendance were Safaricom CEO Bob Collymore, Safaricom foundation chairman, Joseph Ogutu, Hon. 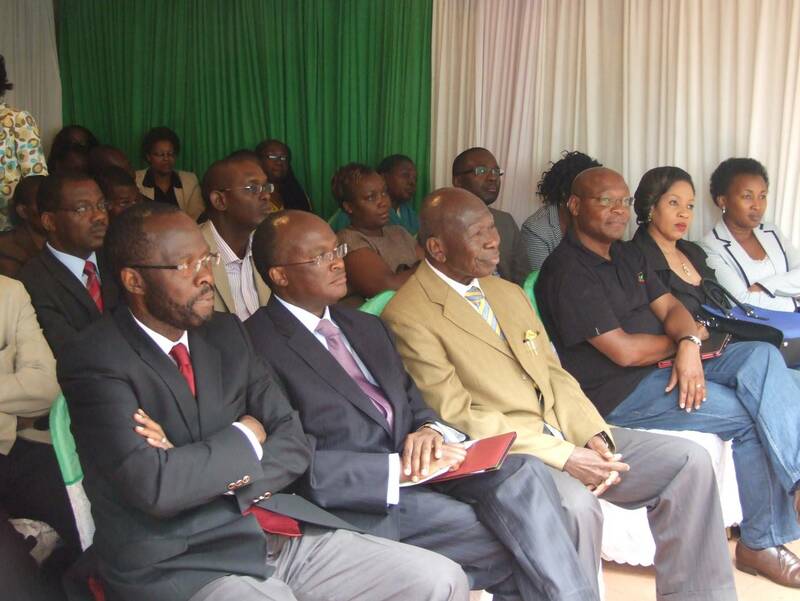 Moody Awori, Senator Prof. Anyang, family of the late Ivor wekesa, Cancer care directors, Faraja trustees, other dignitaries and friends of Faraja. 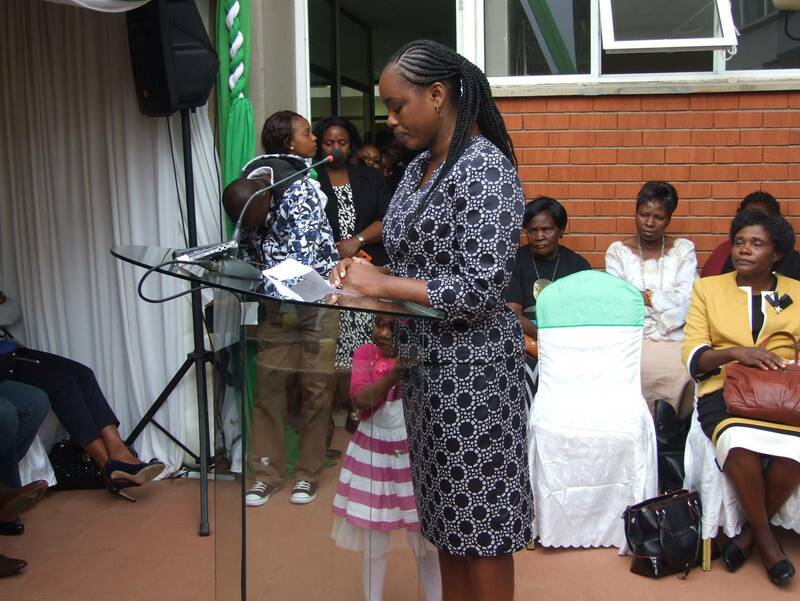 Being a memorial event for Ivor Wekesa it was a very emotional event as many of the Safaricom staff and Ivor’s family reminisced about the moments they shared with Ivor who died of cancer last year. We encourage KENCO members to celebrate with us this memorable day and encourage cancer patients and their caregivers to come to Faraja and enjoy the activities at the studio. Some of the activities we have lined up for the wellness studio are: Zumba, movement, music and dance therapy, mindscape and Yoga. Read Twakutukuza Trust’s great story about their 2014 Celebrate Life event last weekend! Wonderful to see such joy and peace on the faces of the cancer patients who shared in music, pampering and community sharing. And catch their NTV coverage here. This five-minute GBS News interview with Hope & Courage International’s Catherine Wanjiru highlights the huge financial challenge to cancer patients in Kenya. Click here to view the interview. 25 healthcare professionals, including representatives from the Ministry of Health, attended a 1 day breast cancer workshop as part of the World Cancer Day 2014 activities. The workshop was conducted under the flagship of the award winning Pambazuka initiative by AstraZeneca, and was facilitated by leading Oncologist, Prof Othieno Abinya, assisted by guest faculty, Dr Sitna Mwanzi & Elizabeth Ragui. On Friday, February 7th, one year after it’s initial meeting, Kenya Network of Cancer Organizations made history by ratifying the first Constitution to unite civil society cancer organizations in Kenya. Membership in KENCO is open to registered community-based cancer organizations in Kenya, and the groups come together to share common objectives in cancer awareness and advocacy. KENCO currently has 18 registered member institutions, 12 of whom were present to be signers to the Constitution. The first elected Working Committee of KENCO has its work cut out in the weeks ahead, to set goals and strategies for the organization moving forward. Congratulations to KENCO! Feb 4: Today the Kenya Medical Association hosted a media event – the Corporate Declaration against Cancer – to launch their month of cancer-related awareness events. Events will include a visit to the pediatric cancer patients at KNH on Feb 15th and a combined scientific conference and screening event at KICC Feb 21st and 22nd. Key speakers included Senator Peter Anyang Nyong’o (former Minister of Health) and Mrs. Ruto (wife of Deputy President Ruto). Key messages included the need for awareness and greater access to treatment (through universal health coverage). 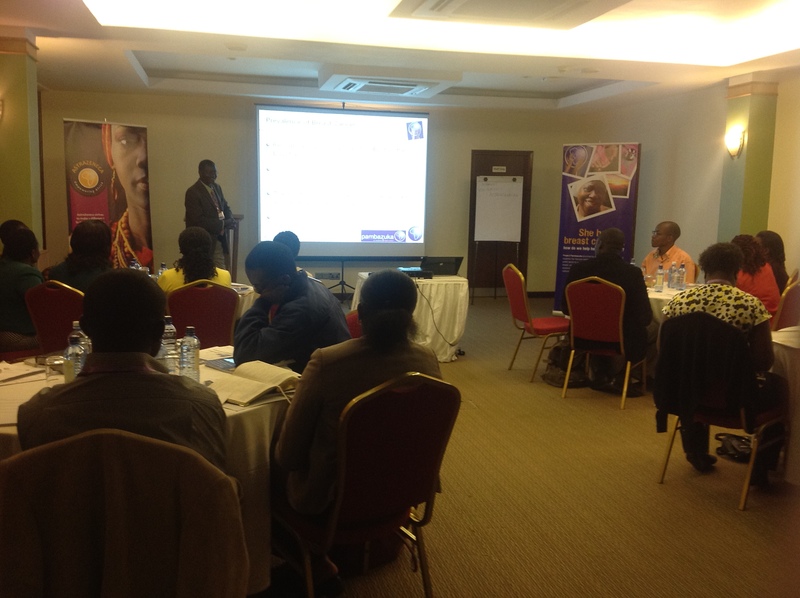 KENCO partners present included Kenya Cancer Association, Faraja Cancer Support Trust, Africa Cancer Foundation, Kenya Hospices and Palliative Care Association and Cancer Awareness Centre Kenya. Here’s hoping that corporate partnership will be long-lasting in the cancer control campaign in Kenya!